For MBA/graduate students taking a course in corporate finance.This title is a Pearson Global Edition. The Editorial team at Pearson has worked closely with educators around the world to include content which is especially relevant to students outside the United States.Using the unifying valuation framework based on the Law of One Price, top researchers Jonathan Berk and Peter DeMarzo set the new standard for corporate finance textbooks. Corporate Finance blends coverage of time-tested principles and the latest advancements with the practical perspective of the financial manager. With this ideal melding of the core with modern topics, innovation with proven pedagogy, Berk and DeMarzo establish the new canon in finance.The second edition reflects the constantly changing world of finance, including information on the recent financial crisis, new behavioral finance research, and updated practitioner interviews. 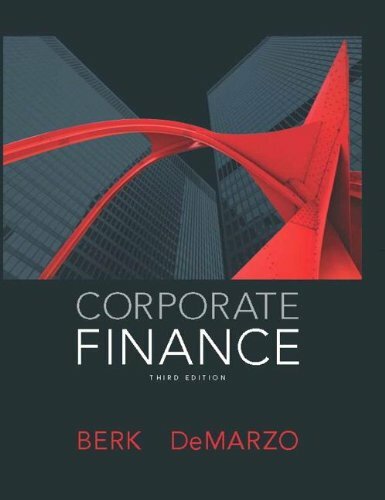 For programs and professors who would like a streamlined book that is specifically tailored to the topics covered in the first one-semester course, Corporate Finance: The Core 2nd edition is also available by Jonathan Berk and Peter DeMarzo.